What is the role of the board in keeping companies relevant? 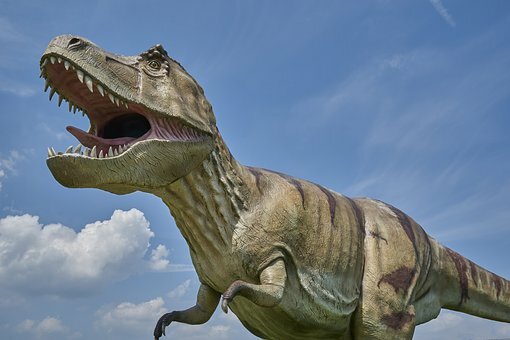 What is a “dinosaur” board and why should you avoid one at all costs? How can boards proactively prepare for activists? Are we entering a new era for boards? During a wide-ranging and informative interview, veteran board member and venture capitalist Betsy Atkins and Bloomberg Radio host and former SEC Chairman Arthur Levitt discuss these important topics, and more. We divided their interview into three separate articles. Parts 1 and 2 were posted previously. Part 3 is presented below. Arthur Levitt: You say that the biggest threat to companies these days is that they aren’t relevant. What can a board do to keep a company relevant? Betsy Atkins: The board can open the aperture and look externally by bringing in outside speakers. The board can also add learning visits to their multiday annual strategy off sites, including visits to key geographic areas like Silicon Valley, China, Hangzhou and Shenzhen. AL: What are the qualities of an effective board member? BA: Active listening, active self-education on the company’s sector and competitors, an independent frame of reference and a commitment to be an asset and add value to the company, versus just providing oversight. Oversight is merely table stakes. AL: Should outside consultants be brought in to help source new board members? BA: Yes, external search firms can be very helpful and their networks can be indispensable to creating a diverse slate of candidates. AL: You would like to see a sunset clause for directors. Why, and how is this clause structured? BA: Yes, I think it would be valuable for boards to have a sunset clause of 10-12 years for directors. I think that board members can “go native” at a certain point in time and lose objectivity and contemporary relevance. Boards need to refresh their boards regularly to meet the opportunities and challenges of the next five to seven years of the company’s journey, just as they forward-hire their leadership team given the outside market velocity of change. AL: You warn against serving on a “dinosaur” board—what is this? In general, if asked to be on a board, what questions should I ask about the company? BA: A dinosaur board is a board where there is very little engagement, it’s very formal, and management is reluctant to share the juicy strategic challenges, issues and decisions—instead they only bring topics to the board when they are fully and finally baked for ratification. Typically, these tend to be larger boards. What I look for when vetting a board to serve on is a size of nine members or fewer and board colleagues who are very differentiated from one another with multiple diverse experiences that I can learn from. I look for a CEO who is open minded and who sees the board as an asset, not a necessary evil. I look for a company that can be a category owner or leader in a space that is going through significant change, since I personally find that more interesting. AL: You made a list of things a board should look at annually, and one of them is to do an “activist review.” What is this? BA: An activist review is an external view of your company from the point of view of an activist. Ask yourself is there value to unlock by spinning off divisions or selling assets, how has your company compared to peers on financial metrics like bloated headquarters costs and G&A? Has your company been efficient with how they have spent their capital? Are you performing in the top quartile of your peers or not? You should have your bankers or an outside specialist firm like Spotlight Advisors (a specialist in activism) perform this review. AL: You say that boards need to consider the “lifecycle” of their companies when making decisions. Would you explain? BA: In the 90’s, Jim Collins (who wrote the book Good to Great) pointed out that 40% of all companies cease to exist in 20 years. Today, that lifecycle has become considerably shorter—more like 50% of companies are gone within a decade. Companies should look closely at where they are in their lifecycle: Are you going to slowly melt and lose value for the shareholders? Are you an octogenarian company? Is it time to go private or sell yourselves or merge? Are you able to innovate and grow? (Sometimes you have the DNA to do that and sometimes you don’t.) At Polycom where I was a director, we concluded it was the right thing to take the company private. AL: Is there such a thing as an independent director? BA: Yes, I believe so. Directors need to have 100% alignment as a fiduciary for the shareholders. If you make every decision as if every penny of your life savings—and every penny of everyone in your family and your village—depends upon it, then you will always have the right business judgement on behalf of the shareholders. AL: Do most boards have adequate crisis management plans ready? BA: Absolutely not. Boards should review crisis management plans annually. As part of their annual enterprise risk management audit process, boards should identify the top risks and have specific crisis management plans in place for each and every one. Importantly, boards should test these plans with a simulated test annually, just as they would conduct disaster recovery testing annually. AL: Is the blockchain and its disruptions a topic that boards are concerned about now? BA: I think the blockchain protocol is particularly relevant to specific industries, like financial services and real estate with distributed transactions. It is in the early emerging stages and companies in the affinity industries should do some research as to whether it will be relevant for their boards. For a traditional manufacturing or retail company, it may not be as relevant. AL: How have boards changed over the years you have served? BA: In the 1990’s, board service was formal and there was a lower amount of interaction for directors. It was death by PowerPoint and formal approvals. The Enron and WorldCom meltdowns resulted in a very important but little understood catalyst of change—the executive session. Directors were then unsupervised and able to talk amongst themselves about their thoughts of the company’s performance and risks, which led to the annual strategy off-site, which coupled with the internet era and technology acceleration has led to a higher level of board engagement. The new era will be one of boards looking forward to the future competitive contemporariness, as opposed to backward looking last quarter oversight. For more information, read Betsy Atkins Talks to Arthur Levitt about the Current State of Boards: Part 1 and Part 2. Arthur Levitt is currently the host of Bloomberg Radio’s “A Closer Look with Arthur Levitt” and serves on the board of directors at Bloomberg LP. Levitt was the 25th Chairman of the U.S. Securities and Exchange Commission, and in 1999, became the Commission’s longest-serving Chairman until his resignation in 2001. He also serves as a senior advisor to Goldman Sachs & Co. and an advisory board member of the Knight Capital Group.